To celebrate the 45th anniversary of Hello Kitty and the 40th anniversary of Gundam. They are having a crossover event! So far there is only a video, where Kitty is at home, sees Amuro, fighting in his Gundam on TV. Kitty gets all flustered and runs out of her house. Then it goes to space, Amuro still fighting, and a break in combat, has his sensors go off. He turns and sees a giant Hello Kitty mech appear. May be Big Zam sized? and the video ends there. All characters are represented in their original animation styles. A company called Brick Formation, has the license to make sets based on Homeworld. For those out of the loop, Homeworld is a 3D RTS. Where it takes place in space, and has lots of cool spaceships. It is made by Relic Entertainment, which was founded in Vancouver, and Homeworld was their first game released in 1999. These parts are genuine Lego pieces, since Lego has a Fair Play rule. So they are genuine Lego, kits designed, packaged and sold by Brick Formation. But the Lego company, is not affiliated with this in any way, other than being the ones that designed the building bricks. They are beautiful sets. They all come with a display stand, which also holds a description card for the ship. They look fantastic, because they made all the ships in the ’studless’ style of building. Where building studs are not visible in the final product. This quality does come at a price. A smaller ship, the Hiigaran Interceptor, which built is 12 inches long, is $250. And a large example, Hiigaran Destroyer, 20 inches long, is $575. If the idea of 3D RTS, all in space, makes you interested, a remaster was released in 2015, available on Mac and PC. (Game) Sometimes fitting in isn’t the best thing for you, as the ones that do literally disappear. It looks like the new region may be based on the UK, with many features on the map appearing to match landmarks like Big Ben and the London Eye. So they have rights to use your content. And give it away. And sell it. Anywhere in the world. Without paying you a dime. Forever. And while they’re backpedaling and looking for excuses, it’s not like 8chan is ever sneaky about what it’s doing. It’s pretty much what it says on the tin. OpenRA is a project that recreates and modernizes the classic Command & Conquer real time strategy games. We have developed a flexible open source game engine (the OpenRA engine) that provides a common platform for rebuilding and reimagining classic 2D and 2.5D RTS games (the OpenRA mods). This means that OpenRA is not restricted by the technical limitations of the original closed-source games: it includes native support for modern operating systems and screen resolutions (including Windows 10, Mac OS X, and most Linux distros) without relying on emulation or binary hacks, and features integrated online multiplayer. OpenRA is 100% free, and comes bundled with three distinct mods. When you run a mod for the first time the game can automatically download the original game assets, or you can use the original game disks. They have Tibetan Dawn the original Command and Conquer, Red Alert the alternate history to WWII, and Dune 2000, possibly my favourite out of these 3. DC Collectibles has created the ultimate Harley Quinn collectible- a full sized, 1:1 ratio statue of the Cupid of Crime herself. This stylish life-size statue is packed with larger-than-life personality, featuring Gotham’s very own Maid of Mischief decked out in her iconic red, black, and white costume. Nadia keeps dying and reliving her 36th birthday party. She’s trapped in a surreal time loop — and staring down the barrel of her own mortality. A huge thanks to Dalton, our favourite fan. And thanks to all our ‘fanily’ that support us. And if you want to support us too, its as easy as clicking this link! 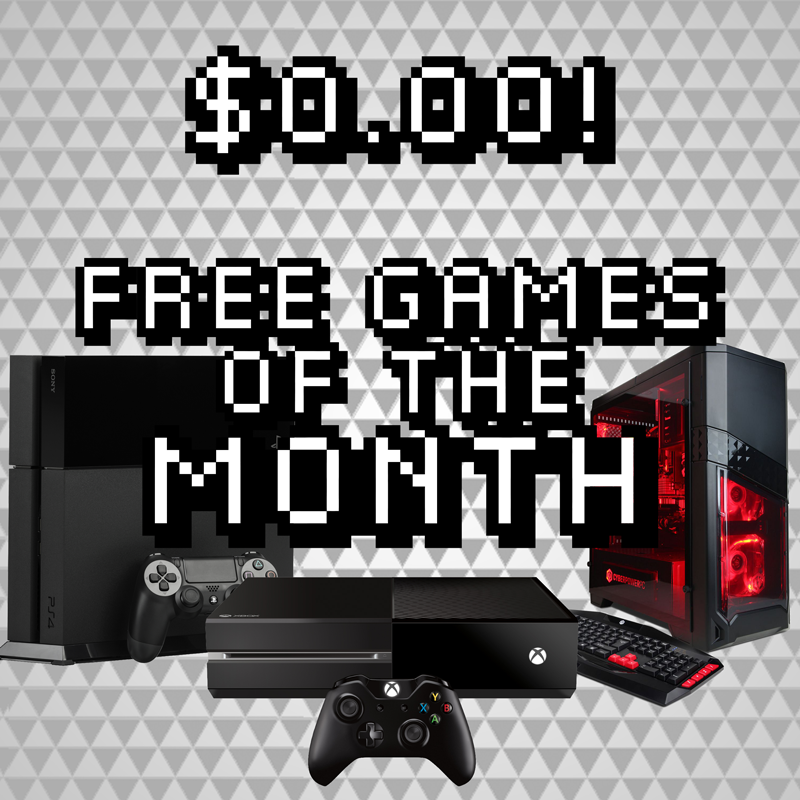 Free Games of the Month! You know those shady Android free TV boxes? Turns out they’re illegal! Who woulda thought? The Piranha Plant spits up a metal spiky ball, keeping it suspended by blowing air upwards. The spiky ball can then be blown either in front or behind the Piranha Plant. The spiky ball has transcendent priority, and the move stalls Piranha Plant’s descent if used in the air, making it a very deadly edgeguarding tool. Based on the Ptooie enemy introduced in Super Mario Bros. 3. The Piranha Plant spews a damaging cloud of poison in front of it. If all hits connect, it will deal a great amount of damage. The cloud itself has no knockback, and deals no hitstun, but it can be countered/reflected. If an opponent attempts to shield against this attack, it will do detrimental damage to the shield itself. The move is chargable, and it can be saved for later use. During execution, Piranha Plant changes its color to match the Putrid Piranha enemy from the Paper Mario series. The Piranha Plant spins its leaves in a fashion akin to a propeller, causing it to rise upward. It can be angled to the left and right during the ascent. Based on the Jumping Piranha Plants from Super Mario World. The Piranha Plant retreats into its pot/pipe, and extends outward to bite opponents in the direction aimed. This also extends the character’s hutbox. Piranha Plant gains super armor during the charge, and intangibility on its head during the bite. Likely a reference to Elasto-Piranhas or Stalking Piranha Plants. The Piranha Plant summons Petey Piranha, who stomps around the stage with his cages from his boss fight in The Subspace Emissary. Opponents that get too close will get trapped in his cages. When the Final Smash is nearly over, Petey Piranha will breathe fire at both of the cages, then slam both of the cages to the ground, dealing heavy damage and knockback to the opponents who were trapped in the cages. It is possible for Petey Piranha to fall off stage, taking any trapped opponents with him, though is not a guaranteed KO if the opponent has leftover jumps, a strong recovery or both. Blizzard hit an usual low, whats Diablo Immortal? Two tough ladies are added to Overwatch and Heroes of the Storm. Alan recommends peak a Nick Cage movie, and Josh suggests a local Alberta Podcast. The Grinch Smash Bros leak has hopeful fans’ hearts shrinks 3 sizes. Apple launches new products for the holiday season. Josh recommends a spooky Syfy original, Alan has a book series that he promised is a quick read. Smash Bros may have had its last characters leaked. Apple security, apps and lawsuit round up! Josh has a cheap recommendation and Alan points you where to get ink in Edmonton. Josh has his anti-scalper tangent of the month. Facebook is doing and hiding bad things. Josh recommends a game for android, and Alan accidentally a whole Netflix series. We visited a board game cafe while its under creation. Amazon Alexa misunderstands like people can. Josh suggests a Netflix comedy special, and Alan suggests a rouge-lite metroid-vania game that is cute and fun!